Here’s the story. The victim, Stone, is a Chinese Apple developer from Tencent, the company which created China’s most popular IM software QQ. He’s invited by Apple to attend WWDC2010. 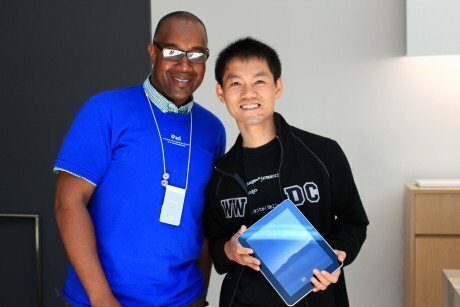 Being a tech guy, he brought along his iPad on the trip. During the conference, he got robbed on a bus in San Francisco. 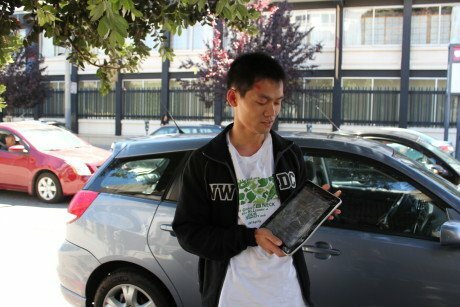 In the fight with the robber, he got hurt with rib broken, and his iPad failed to survive. The screen was completely shattered. Then, he took it to the Apple store for repair. The Apple genius felt bad for his tragedy. So, Stone got a new one in return and at the same time, Steve Jobs wrote three words to comfort him: ”safe travels home”. 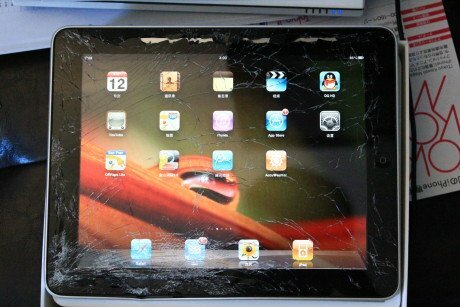 Stone got hurt on his forehead and he felt sad for his broken iPad.